An Africa of Contrasts | Mutuk5. Africa rarely ceases to amaze, for better or for worse. In July 2015, along with my partner in crime Lars – Ulrik Nielsen, I visited Tanzania and Kenya for one month to shoot a documentary film in the former and visit friends and family in the latter. I was last on the continent 5 years ago – a singular visit to the place that I grew up on in one decade. Those who have lived in or visited Africa will contend that it’s a place of contrasts and constant change. Like the Sahara sounds of the North, the scenery, people, sites and sounds of this continent are constantly shifting; an eternal ballad with the fierce winds of time that carry with them all manner of emotions-hope, despair, warmth and wisdom. This is my feeble attempt to capture some of what I experienced and chart my path through the many miles of road that I covered. It is an even more feeble ploy to attract the attention of the privileged world to some of the problems of the less-endowed and more importantly, on what can be done, however minimal, to help out with such issues. Crucially, in the age of selfies and selflessness in which we live – an epoch that my generation can stake our claim on as that in which social disparity is at its highest, this article is a call to arms that I hope, illustrates that small actions from those in positions of privilege can have major lasting impacts on the lives of others who do not have access to human rights. If you have the patience to read through this article, you will note that there are many links (highlighted in green), which can be explored through a single mouse click. These links open in a new window. Khalifa and I sample fruits that these amicable Maasai children shared with us on the hilltop overlooking Mlembule village, Northern Tanzania. We sat here for hours, able to communicate solely through laughter and gestures. The story of my travels began earlier this year with a call from a close friend who approached me with the idea of starting a Non – Governmental Organisation that could lend a helping hand to communities in need in Tanzania. I jumped on board and helped form Jengo– an organisation whose aim is that of helping improve the lives of underpriviledged communities in the north of this beautiful East African country. Our vision of going to Tanzania to gain a better overview of some of the problems that we wish to ameliorate via Jengo became a reality shortly after the attainment of the Danish Ministry of Foreign Affairs (Verdenslegat) grant. This generous scheme covers all travel expenses and production costs associated with the shooting of a short 8-minute documentary that sheds light on specific problems in third-world countries. Considering the nature of our deadline-day application, we met the news of our grant accreditation with amusement and surprise. Days after the reality of what we’d achieved sunk in, we began the process of planning the logistics of a two-week trip to the north of Tanzania that would involve not merely shooting footage for our proposed film, but also entail work for our NGO, Jengo, independently of our movie work. Many reams of red tape later, we found ourselves on our way to Tanzania, to sow the first seeds of hope for various communities in the Northern part of the country. The mission? 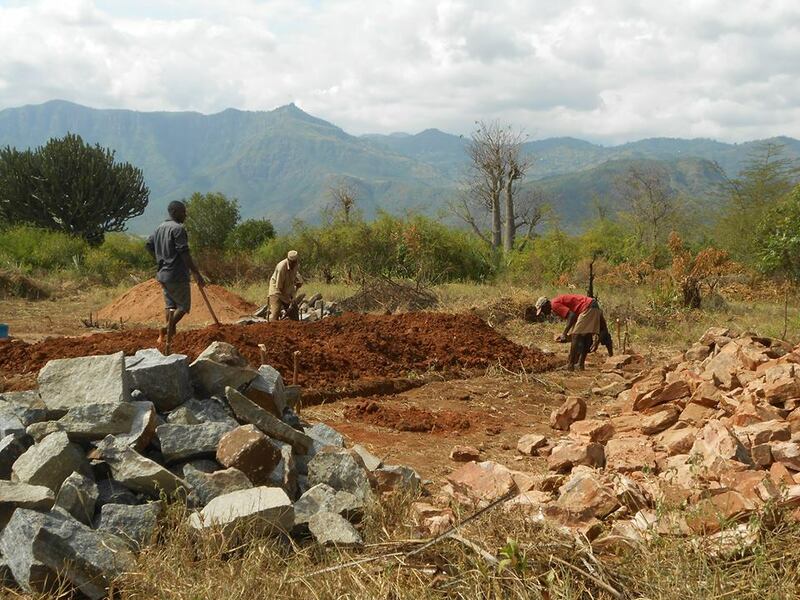 Commence the construction of a school in the outskirts of the village of Mlembule, near Mombo, that will serve as a hub for the education of young Maasai girls in coming years and help protect Albinos confronted by persecution based on unfortunate prejudices within their communities. 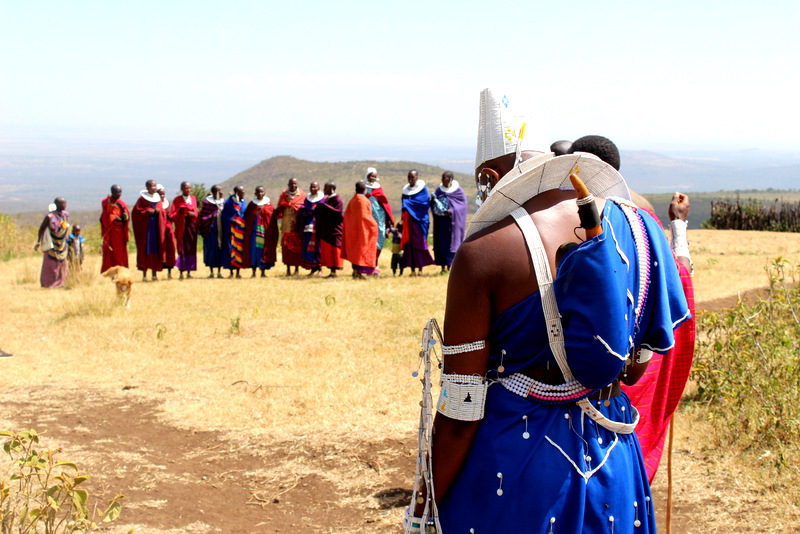 Shoot an 8-minute documentary on women’s rights in the Maasai culture, centred on the lives of two couples in two different Maasai villages. Gather information concerning the nature and scope of various problems faced by communities of interest to Jengo. 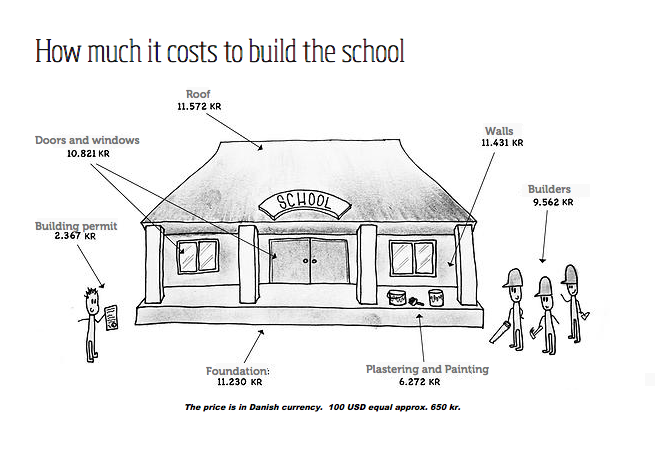 The costs of building a school for the children of Mlembule. We have raised funds for the first 2500 USD, with which a foundation was constructed whilst we were on our voyage in Tanzania. More is needed though – find out more about how you can contribute. All set for the trip: Lars Ulrik Nielsen and I shortly before take-off from Kastrup airport on the hottest day of the year in Denmark. The hottest day of the year in Denmark. I began it amidst a furore of fireworks and music, flanked by thousands of revellers at Roskilde Festival. The Orange stage was awash with bright red, purple and yellow flames from the fireworks show that cut the sky like blades through butter as Paul McCartney rolled back the years. My train ride home took an eternity and my sleep was no different to that of a sedated beast. Hours later and I found myself bound on a KLM flight that stopped in Amsterdam and later Dar Es Salaam, Tanzania’s largest city and the most populous Swahili speaking city in the world. Home to between 4 and 5 million people, up to 70 per cent of Dar’s population live in slum areas with poor access to basic amenities such as water and electricity. The city greets you with a warm, sweltering rush of air that smells of salt and seaweed. It is uncomfortably humid at best. After an hour of filling out Visa forms (the procedure is ridiculously slow), Lars Ulrik and I hitched a taxi bound for the city centre. As with many airports, it is wise to take official taxis and even in this case, do not accept the start price, as you will probably be overcharged. Instead, verse yourself with the nudge and grudge of negotiation-a skill that you will need in many situations in Africa. We commenced our stay by checking in at the Safari Inn . Twin beds with air conditioning (a welcome help against a backdrop of sweltering humidity) will set you back a cool 10 – 20 USD per night. The staff are friendly and the property is secure: a popular pay-for-what-you-get location amongst tourists and the ideal stopover for a night. Arrival in Mlembule: The arrival of guests from afar for many an African village is an elaborate affair that tends to involve quite a few people. We began our day brutally early as Jengo vice chairman Tambwe Tumbwa and his brother Hamisi drove us to our morning bus at 4 am. The air was heavy with the scent of sea salt and the back of my neck felt warm and wet. Two vital Airtel sim cards with pre-loaded credits are handed to us; -absolute necessities on any trip as roaming costs are nothing short of daylight robbery. Getting cash proved to be a challenge as we visited one empty ATM before getting lucky at a second. Being that It was a public holiday and the bus terminal was crammed with a mix of commuters, porters of stock and baggage, adroit touts and eager ticket vendors. Coming here on one’s own, without the help of a local friend, is unadvisable. We streaked through the darkness amidst a flurry of shouting and early morning hustle and bustle. The bags on our backs were heavy and uncomfortable – crammed with donations for our work here from partners such as Derma and GAME Denmark. More than once, we came close to falling, as we trudged and stumbled through the mud left by the night’s drizzle. Carts of stock driven by irritable men hissed and nudged us out of the way – we were cumbersome boulders in a sea of early morning hustle. I followed the bulky mass of baggage and man in front of me as best I could until we finally reached our destnination, the Dar Express bound for Arusha. A cut above other bus options, this company will take you safely from A to B and keep you entertained (or perpetually bothered, depending on your outlook) with dramatic local soap operas and music videos at full volume for the entire duration of your journey. You will also get a small packet of glucose biscuits and a soda but don’t expect extra legroom. Daylight found us aboard our bus as we snaked through a sea of combustion engines prompted by commuters heading out of the city for the Eid celebrations. As a high percentage of Tanzanians are Muslim, this holiday is fairly significant – many establishments are closed and the drone of Mosque prayers shoots through the evening air at many a township over the course of the holidays. The scenery shifts from messy urban sprawl to palm-tree strewn suburbia and quaint rice paddies that resemble those in Asia as we rise up into the hills and up to the north. The air here is clear and calming, a stark contrast to the congestion and heat of Dar Es Salaam. We reached Mombo in the afternoon and were confronted by a horde of overly eager bus touts and idlers in search of a quick buck, some of whom attempted to carry our rucksacks despite overt No’s from our part. My Swahili came in handy as I made it clear that we were not interested in whatever services they had to offer. After a few more confrontations with the inhabitants of this unpleasant outpost, one of whom was worryingly sloshed, our local partner, Khalifa from the Friends of Usambara association arrived to our rescue. We had a local buffet lunch at the well-priced Liverpool hotel on the highway heading out of Mombo, before heading to the first Maasai village on our itinerary, Mlembule. Our arrival in Mlembule was greeted by a mix of stares and laughs from pretty much every adult and child in the village at that particular time. There is rarely a low-key arrival in Africa when guests from abroad are in town. Some may be put-off or taken aback by the experience but for many from the Western world, arriving in a small African town will probably one of the most welcoming experiences they endure in their lifetime. Having stowed our luggage in our Manyattas (huts), we toured the village and its environs – guided all the while by Chief Daudi – a wise old man who I gained respect for over the course of our stay. Night fell and the sounds of the Savannah rang out cacophonously. I realised how much I had missed these sounds the concerto of crickets and other insects and occasionally, the chilling roar of some wild and unidentifiable beast. Jet-lagged, worn and weary from days of traveling, I shut my eyes in the cool, pacifying confines of my Manyatta (hut). Chief Daudi from Mlembule village – an excellent host and gentleman who is at home clad in traditional Maasai attire (as shown here) or in conventional Western clothing that he frequently dons during his diplomatic visits to communities outside of his village. The groom to-be, Johanna, on the left of the picture, a few hours before his wedding day. The first of two wedding appearances on our trip. As with many other weddings around the world, there is a lingering undertone of anticipation and bit of unplanned comedy. Maasai weddings are far simpler than many Western ones can be and involve far less logistics, which makes them less stressful to be a part of. One of the highlights of this particular wedding was the birth of a goat kid amidst the sea of cattle in the village boma (enclosure) just before the ceremony began. Eager to film the spectacle, I approached the scene and began to record, at which point one of the chief’s brothers pitched up and performed what I can only describe as a very impressive caesarean section. Once done, he proceeded to very calmly ask me if I had a buck or two for his efforts, which I responded that I did not. His hustling continued for the remainder of our stay, despite a telling-off from his brother – it all got rather amusing an the end of it all. The rest of the wedding went along smoothly and was over and done in the matter of a few hours. Part of this ceremony involved a rather intimate squeeze into one of the huts, where a ritualistic exchange of blessings from parents took place, briefly and without undue fuss. 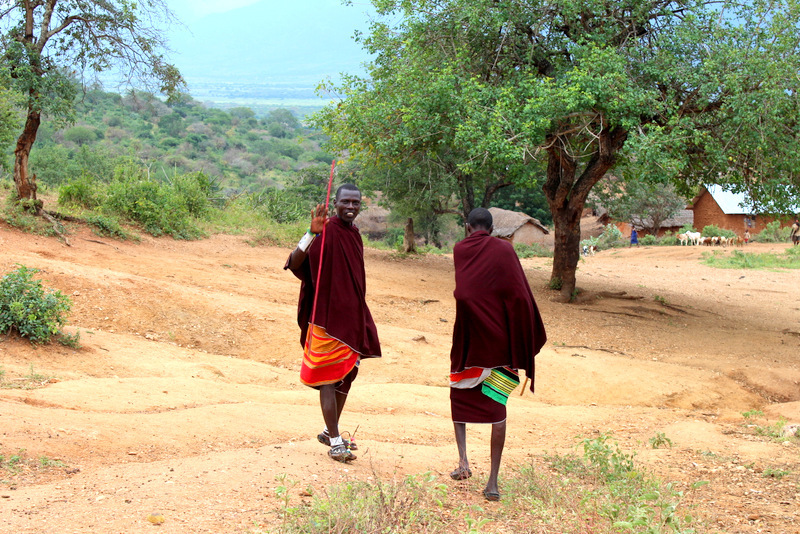 One of the challenges that faces Maasai communities particularly in Tanzania is that of teenage marriage, whereby young girls are often wedded off to men who are much older than themselves in return for accumulations of wealth in the form of cattle. The fact that polygamy is in many areas not just accepted, but a sign of virility and status exacerbate this. For the sceptics reading this, the reason for the existence of widespread polygamy in many African communities is logical if we talk in terms of cultural relativism. In previous times, chiefs marrying the women of other tribes and creating children with them was one of the most effective ways of preventing conflicts and wars amongst different tribes and clans. Though this argument is not as relevant today as it has been, it goes some way towards explaining the historical roots of African polygamy. There are, it goes without saying, numerous other socio-political factors that can account for the prevalence of this practice. This particular wedding did not raise any eyebrows per se, though we did, as part of our work with our NGO, interview a 15-year-old girl, Nayaki, who has been married for two years to a husband with whom she has a child. Part of the reason for the persistence of such problems lies in the lack of educational opportunities within numerous Maasai communities and though the practice is in decline, there is much work to be done, as Chief Daudi admitted to us in an interview we had with him later in the day. For him, education is the way out of many of the socioeconomic problems of his village- he believes that the construction of a school is a fundamental tool in creating awareness and opportunities amongst and for the youth. Nayaki, aged fifteen is married to a man much older than herself with whom she has a child. Teenage pregnancy is one of the challenges in Maasai societies that Jengo hopes to mitigate through the construction of a school and the creation of educational opportunities. We ended a day of many impressions with bucket – list experience material in the form of dancing with some of the young “morans” (teens and young adults who have not yet completed the rite de passage to full adulthood). Jumping in the darkness of the chilly savannah surrounded by the shrill screams and croaks of a tribe that has walked the lands of Africa for thousands of years remains an unforgettable experience, etched in my memory like shards of glass scraped onto a brick wall. The next day was quiet and sedate compared to the previous ones. Now accustomed to our presence, the children of Mlembule seemed less curious and more at ease in our company. We donated footballs and frisbees (compliments of a partnership with GAME Denmark, where both Lars-Ulrik and myself work from time to time) to an initially apprehensive group of boys. Despite their initial hesitation, once they started playing football, they didn’t stop until only the cover of darkness deterred them from their newfound thrill. The sight of a community engaging in sport, particularly in a grassroots area like Mlembule is immensely rewarding. The competitive and sometimes elitist nature of sports distracts us from enjoying its power as a tool that is indispensable in the context of social bonding. On this day, we also had the pleasure of meeting Khachichu, one of the few albinos in the area. Albinos in Africa face a dire and worrying threat of persecution and death due to ancient myths that maintain that their body parts have magical powers. For a young boy like Khachichu, this means that he cannot go anywhere unaccompanied by his parents. Another challenge facing Albino populations in Africa is the damaging effect that the sun has on their skin, which, due to a lack of pigment, is easily burned and damaged. Tanzania has the highest concentration of Albinos within its population demography – the problems that I speak of are real and severe. Khachichu was understandably shy if not shocked initially-strangers are not usually people he associates with and he seemed naturally suspicious of us from the start. Compliments of another of our partners, Derma, we donated sun cream to Khachichu in the hope that it will help protect him from the intense rays of the sun. Though wary, he thanked us with a reassuring glance – a mixture of bemusement, caution and appreciation that remains, like so many other memories, an engraved fixture in the back of my mind. We ended our day in Chief Daudi’s hut where yet another elaborate dinner came our way. True to his hospitable nature, Daudi handed Lars-Ulrik and myself a series of gifts, all handmade. Khachichu, aged 7 is one of several children with Albinism in the areas that we visited. Thanks to a donation of sun cream from Derma, he will now be able to play outside with greater ease, as there is less of a risk of getting sun burned. Find out how you can contribute to helping children like Khachichu here. We left Mlembule around noon, after some unexpected delays. The road to the Usambara mountains from the plains near Mombo rises steeply into the sky and the air cools with every road turn. Given that July is the coldest month in these parts, the sun was a rarity and the ground was wet and murky compliments of the rainy weather. The road to Lushoto was built by the Germans back when Tanzania was a colony and despite many a blind corner, remains functional if not entertaining to drive on. Upon our arrival in Lushoto we visited our local partner organisation, the Friends of Usambara society, where we interviewed the NGO’s leader, Yacin, who educated us on the problems of Albino-based discrimination in the country. The Friends of Usambara Society is a grassroots organization that uses sustainable tourism to conserve the nature and culture of the Usambara Mountains region. Through Jengo, we chose them as partners due to their professionalism and impressive knowledge of the local area and its environs. Substituting our diet of traditional Maasai staples with a meal of a European standard at the Irente Farm Lodge , Lars-Ulrik a I took time to plan the rest of our trip and take stock of all the numerous experiences we’d had hitherto. Our nights henceforth would be spent at a nearby orphanage – in a room where the aggressive purr of voracious mosquitos whizzing close to our mosquito nets made for a stark contrast to the breezy, insect-free evenings in our manyattas in Mlembule. Our stay in Lushoto was more relaxing than our adventures in Mombo albeit less exciting as a result. Whilst in the Usambara mountains we visited Irente school for the blind where we donated more gifts from our heavy rucksacks. Mama Ruben, the school’s leader is a stalwart woman who is proud of her institution and the discipline of its students, all of whom wander freely around its campus despite being partially or fully blind. We also visited a family of two Albinos in the area. The perils of being an Albino in this part of the country are not as severe as they are in others and the foggy nature of the Usambara mountains means that skin-related complications affecting Albinos in this area are not as prevalent either. 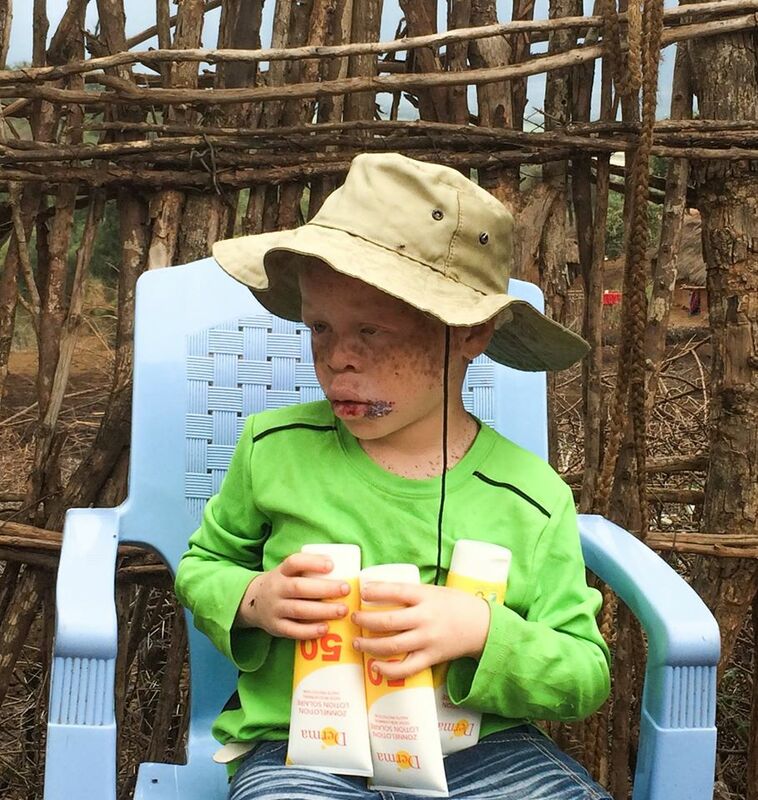 This notwithstanding, we donated more sun cream tubes from our Derma sponsorship and strengthened our knowledge on the subject of challenges facing Albinos. Whilst in Lushoto we also had the opportunity to take a hike through the mountains, as part of the eco-tourism opportunities offered by the Friends of Usambara Society. Our guide, Khalifa was exceptionally knowledgeable when it came to the flora and fauna of the area. Without his guidance, however, we did run into several incidents with flycatchers who posed as friends that were keen in helping us along our way, only to lead us to sites such as viewpoints where we were required to pay for the pleasure of partaking in the breathtaking (and ultimately legally free scenery). A flycatcher is a term borrowed from The Lonely Planet that describes conmen of the aforementioned nature, who most often pose as travel buddies but ultimately work for larger travel companies and local establishments from whom they get a commission per number of tourists led into the trap. The practice is outlawed and illegal but prevalent in numerous areas in Tanzania and the rest of the world for that matter. At one of the viewpoints visited, we paid a fee to the local hotel who had planted their establishment in such a way that it was almost impossible to access the summit of the hill through any other route. Despite this, we were presented with a hefty receipt by two shady-looking types posing as artists after we’d been sat on the rock ledge for long enough for them to pull off such a sneaky trick. All the while, a young man who’d followed us from a field close to the hotel entrance and pretended to be a loyal friend conveniently disappeared as soon as payments were made. I did negotiate the price from to a figure that was lower than the ludicrous quantity that had originally been mentioned and made a mention of my distaste of the whole process. Our negotiations were, however, complicated by the presence of what could only have been a very disturbed individual or an additional ploy in the con game whose goal was to scare those who didn’t comply with the process. This character, sat next to us on the ledge at the viewpoint overlooking the Mombo plains, proceeded to talk to himself in a language I didn’t quite grasp, save for a few Swahili words in the form of insults and threats to us. His eyes bore a rasping quality that I wasn’t keen on engaging a few feet away from a steep fall that dropped thousands of metres down into the misty sky. We later found out that not only are such fees legally incorrect, the hotel, which markets its fee payments with the promise of a free soda, failed to offer us a beverage of any sort. The moral of this particular episode: Sadly, many parts of Tanzania (and other areas of the world where social inequality is prevalent) are places in which such trickery will always invariably exist. Negotiation tactics and the help of a local friend are indispensable. 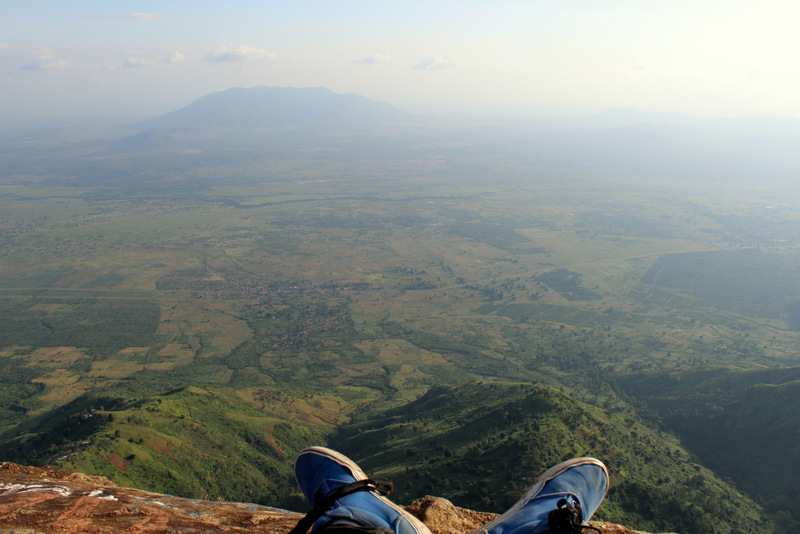 A “Simba all you can see is yours” moment at the pride rock-esque viewpoint near Lushoto. Expect flycatchers and shady schemes that will try to extract money from your pockets. 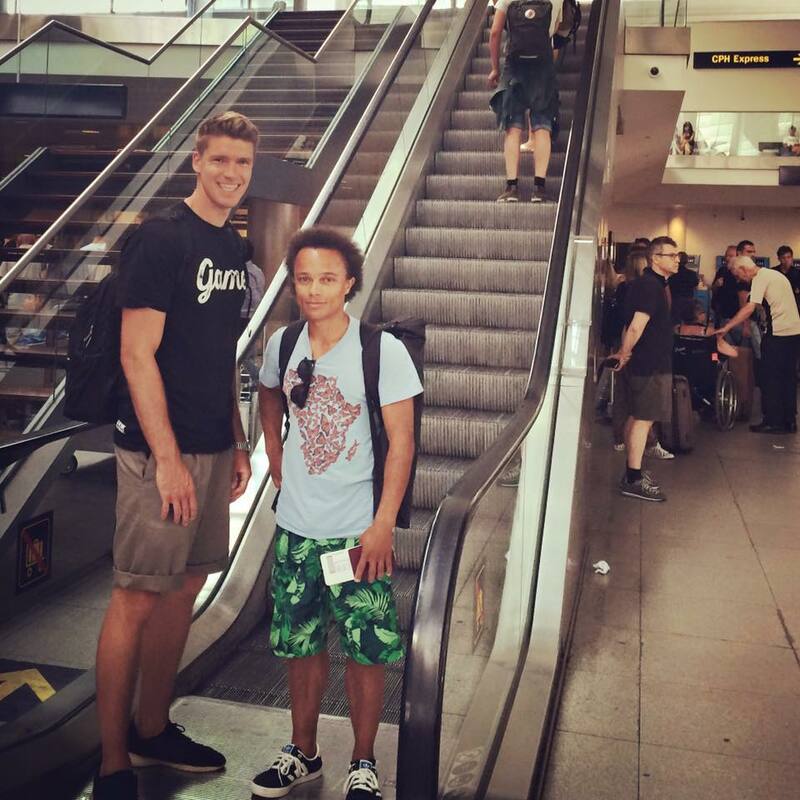 Chapter 3 of our trip proved to be the most exciting and the most controversial yet. Poor communication between ourselves and our contacts in the northern frontier of Tanzania resulted in us boarding a bus from Mombo without knowing where exactly we were going to stay and what our final destination would be. We began the day taking photographs of the building of the concrete foundation for the school in Mlembule, where we drove down to from the mountains around noon. It was rewarding to see the fruits of our labour and the beauty of a dream coming to life before our eyes. The foundation has been completed following our return to Denmark. 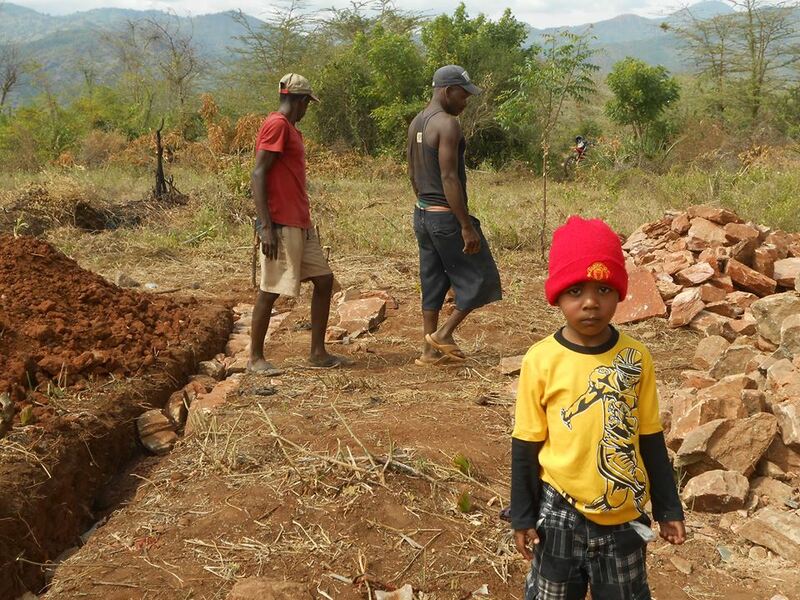 Genesis: Work commences on the construction of the foundation for a school just outside the Maasai village of Mlembule. The Eid holiday festivities complicated our search for a decent bus so we ended up on one in which there was space for a couple of tourists who’d pay at premium , as opposed to one that would get us from A to B safely. This particular jalopy was crammed to the brim with passengers, some of whom were sat on dusty cushions above the engine. The talkative tout and ticket manager, devoid of space to sit, were forced to stand in a corner by the front door, where the former managed to snooze in a full upright position with his arms sprawled on a railing by the front window. Quite how the bus passed the weight checks along the seemingly unending highway remains a mystery though a fair bit of winking and smiles did take place between the bus driver and several initially cocky traffic cops. Whilst on the bus, we received word from our contact, who saved us a trip to Karatu (our initial last minute solution planned destination). We met Ndoros Birika and his driver and business associate, Francis in Arusha from which we travelled north in the former’s Toyota Noah. Its sliding rear doors and polished upholstery and cabin were a welcome upgrade to the noisy, crammed bus we’d spent the last five hours in. Our rucksacks and our clothes were generously coated in a layer of thick dust, with the latter having spent the trip in a boot that had a large and uncanny hole with a prime view of the rolling asphalt below. Ndoros is the brother of a Danish-Tanzanian friend of mine and hails from the village of Eswira, which we visited whilst in NgoroNgoro. He is one of the forces behind Maasai living, an eco-tourism initiative that aims to share the culture of the Maasai of the Ngorongoro conservation area with the rest of the world in a sustainable manner. We stopped at a roadside inn in Karatu where we devoured a shared meal of chicken and chips served on a large platter layered with a delicious curry paste that kicked our taste buds and filled our travel-ridden stomachs. This done, Ndoros drove us to Kudu Lodge where we paid a meagre 10 dollars per evening for a night at their campsite (using equipment rented in Arusha). Kudu lodge is one of many tourist accommodation options in Karatu that offers great a 25 dollar buffet that is on par with most high-end dining. Its campsite is spacious and frequented by a mix of overlander safari tourists (budget tourists who usually travel in a modified rented truck) and keen adventurers in their SUVs. We left Kudo lodge and the rather unpleasant outpost of Karatu and headed north towards Ngorongoro crater, a Unesco World Heritage Site and the site of one of Africa’s seven wonders – the largest unbroken caldera in the world. Whilst in Karatu, we spent the morning discussing the formalities of our trip with Ndoros, who hails from the village of Esirwa, near Endulen on just under the crater rim. To this effect, we purchased stationery and foodstuffs which we would later donate to the women and children of the area. The cost of entering the crater is an astronomic 200 USD per vehicle. This buys a one-day permit and does not include the fee that you end up paying the driver (assuming you don’t drive yourself). Once past the gate – a site of the usual haggling and inefficiency that denotes most government-run affairs (mingled with affluent oriental tourists taking selfies of their surgical face masks), more pleasant sites lie ahead. Ngorongoro rises steeply as one drives through a refreshing mist that cools the senses with irreproachable panache. The road to the crater rim is muddy and lined with herds of buffalo sporting blank expressions and a disinterested demeanour. The crater viewpoint, though breathtaking, is awfully touristic and crammed with the selfie hordes and their over excited mannerisms. 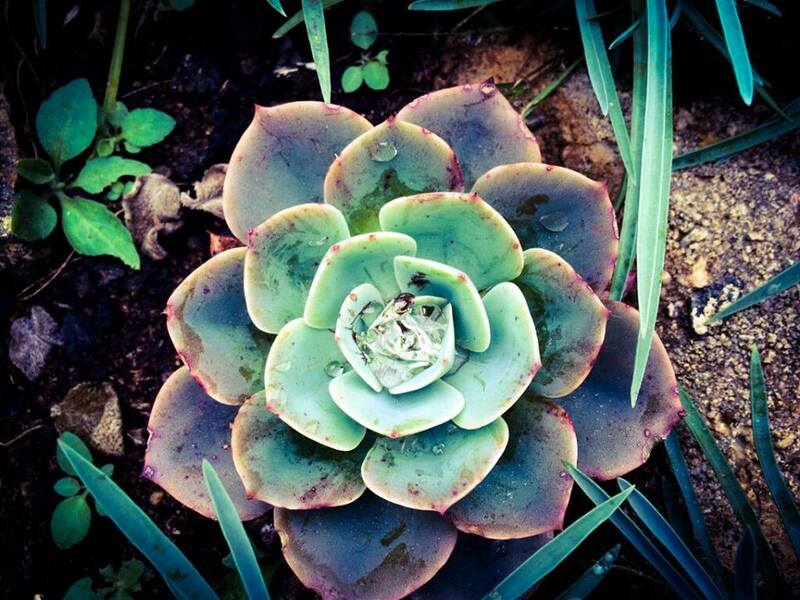 Once this is left behind, the wilderness opens, like a ream of rolling paper in the wind. Our driver floored the Land Rover across the alpine tundra terrain with a vengeance, clocking over 80 kph as we whizzed past herds of zebra and the occasional Maasai clad in the brilliant red attire and elaborate jewellery that singles them out against the grassy backdrop of shrubbery and stunted trees. Looking down at the crater floor: The mist on Ngongoro crater sweeps through in gentle bouts, cooling everything it touches with a witty sophistication, before slithering gently down into the valley below. The village of Esirwa (near the town of Endulen) lies on a ridge overlooking Lake Eyasi – a salt lake at the base of the Serengeti plateau. 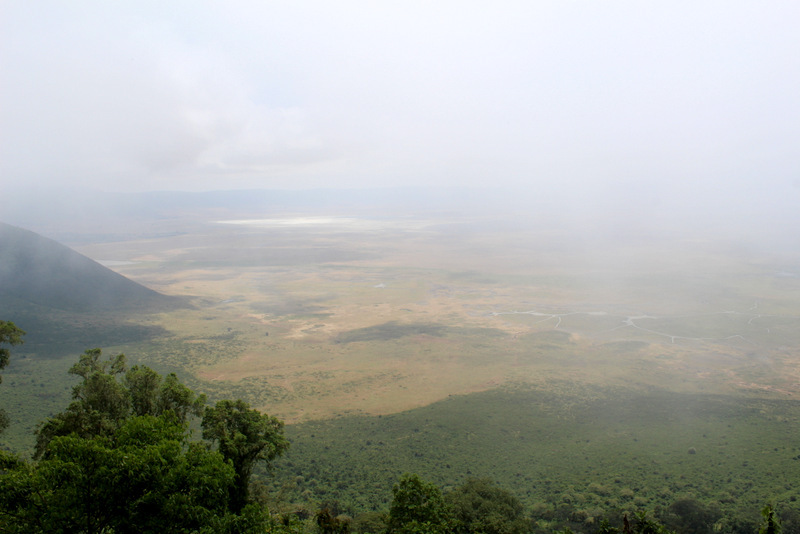 Above Esirwa, the land rises gently towards the Ngorongoro crater rim. One of many small villages and hamlets that dot the alpine tundra landscape with small pockets of thatched huts and cattle bomas (enclosures), this is a place of immense beauty, with soothing views of the surrounding areas. We reached Esirwa at noon, to yet another elaborate welcoming. By contrast to our arrival in Mlembule, there was a designated welcoming committee consisting of just under 100 men and women from surrounding villages who formed long, elaborate chains as they broke out in traditional song and dance. A goat was slaughtered in our honour and roasted on a fire made by rubbing dried twigs onto metal – a process that involves 3-4 people and takes time to ignite. The Maasai of Ngorongoro, isolated from the rest of the country as they are, have maintained a way of life that is unique in many aspects. For example, the Ngorongoro conservation area is home to a dense lion population that lives in relative harmony with the Maasai of this area. Both man and beast share a mutual fear of and respect for each other, avoiding confrontation where necessary. In the past, some Maasai traditions dictated that killing a lion marked the passage into adulthood for young men. Such customs are, however, out-dated, at least as far as this particular area we visited are concerned. However, there are many who have had various run-ins with lions and other wild animals, the results of which have sometimes resulted in casualties on both sides. On the topic of wild animals – having chosen to sleep in a tent on the edge of the village, I was rudely awaken at some uncouth hour of the evening by the barks of some of the village mongrels who seemed agitated. The barking intensified to the point at which whimpers of fear and groans of panic that tend to signify imminent danger broke out all around our tent. Unable to see anything from the inside of the tent, I checked my mobile phone and noted that there was no signal. The dogs grew increasingly vocal and paced up and down with a vengeance, snarling at whatever wild creature lurked in the unforgiving darkness beyond. From the goat boma (enclosure), the sound of sneezing and shuffling – a tell-tale giveaway of there being something amiss did little to quell the tension. There was a hunter in our midst and whatever it was, it was quite unrelenting. Unarmed, out of mobile phone coverage and unable to see what was going on outside, I drew comfort in the loud flapping of our flimsy tent, which buckled and heaved in the chilly evening wind. It was dawn by the time the dogs calmed down. The next day we discovered that the village had been visited by a predator, most probably a leopard, going by the verdict that most of those we spoke to about the racket gave. Dogs in particular have a dislike and fear of leopards, a foe against whom they stand very little chance. Recounting my experiences as a child in my dad’s military cottage on the edge of Mount Kenya’s forest, I recalled with some distaste that many of our dogs were frequently mauled by an invasive leopard. Their cries for help as they shot under the cottage in the hope that an advancing leopard would not engage them in such tight confines were not that different to what we’d heard the previous evening in Esirwa. We spent the rest of our stay here in Ndoros’ hut, which he lent us with a grin on his face as he contended that there had indeed been something wild prowling the village environs the previous evening. 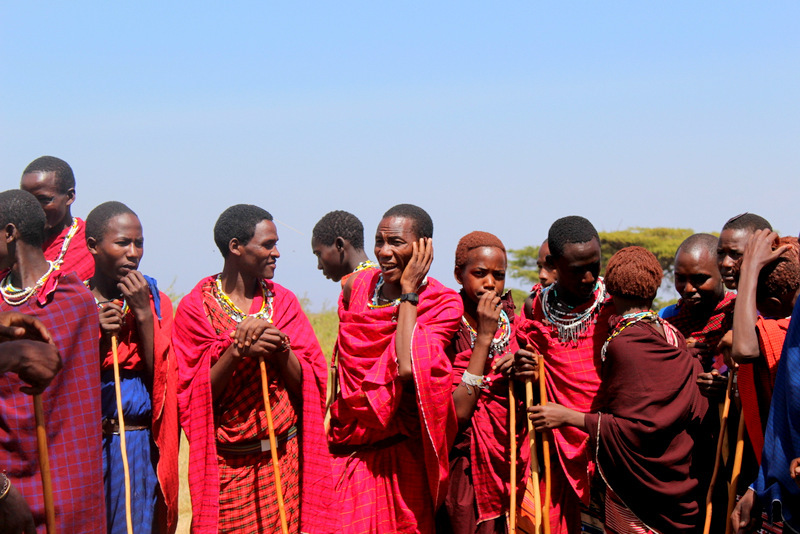 Song and dance : The Maasai of Esirwa welcomed us to their village with verve and colour. Seldom have I seen such a display of generousity. The sun rose against the NgoroNgoro escarpment, chasing away the morning mist that had settled on its tip; an elaborate changing of the guard that demarcated yet a rare beautiful sunrise. We commenced this day with a trip to the local makeshift school. Formerly a ranger’s hut, the Maasai of Esirwa have transformed this building set on a ridge on the descent to Lake Eyasi, into a singular class school that is over packed with many of the village kids. Education is a right that many Maasai are deprived of in many parts of Tanzania and the problem is particularly significant in this area as I will elaborate a bit later. We handed out sweets and the stationary we’d bought in Karatu to a group of beaming kids, who ushered us with various songs. Ndoros then departed for Arusha to take care of some business that had come up and left us under the care of Mackay, his younger brother. 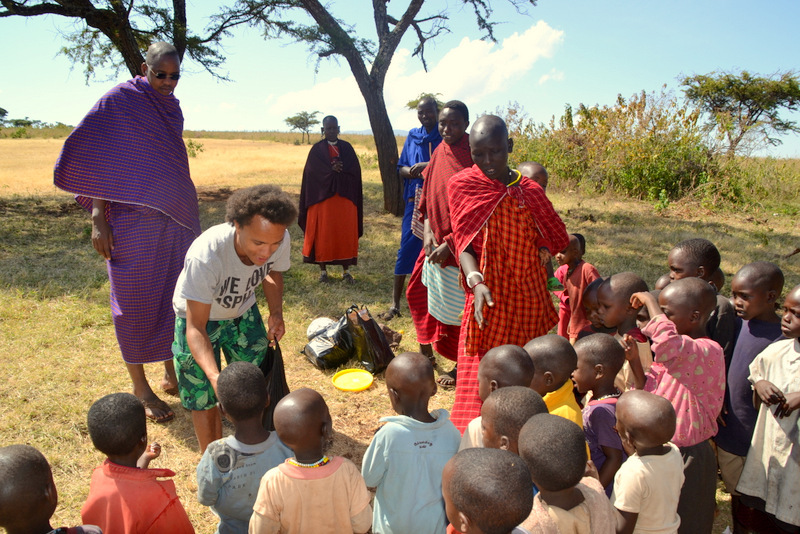 Handing out sweets and school stationary to the Maasai kids of Esirwa. Access to education is yet another challenge hampering the wellbeing of this area. The day continued with our second Maasai wedding in a week, which, having already attended one in Mlembule a few days ago, was now a procedure that we were quite familiar with. One of the highlights of this wedding was standing in the middle of a hut crammed with over 30 chanting Maasai. The dark, smoky confines of the hut accentuated the sensorial immersion in what I can only describe as a great and incredible experience of human bonding. In the gadget-laden material world in which many of us live, such experiences have become a sought-after rarity. The Maasai, with their far simpler lifestyles and clan society gel with each other remarkably during such situations, with little anxiety or awkwardness. We can learn so much from a society that, in material terms, has so little. With the formalities of the wedding behind us, we conducted interviews with Mackay, our host with whom we wandered many kilometres into the wilderness, keen on discovering the surrounding area with our own eyes. The exorbitant park entry fees charged to tourists who visit the area and more importantly their distribution. Despite having set up a fund for the provision of grain to communities living inside the Ngorongoro conservation area, no funds have been appropriated to the Maasai. Where grain has been provided, it has been of sub-par, subsidised quality in measly quantities that do not address the requirements of the population. The prioritization of tourism in the area via the construction of more lodges and the arrival of more tourists. The consumption requirements and environmental impact of both of the aforementioned far exceed those of any Maasai of the Ngorongoro conservation area, even if subsistence farming is plugged into the equation. 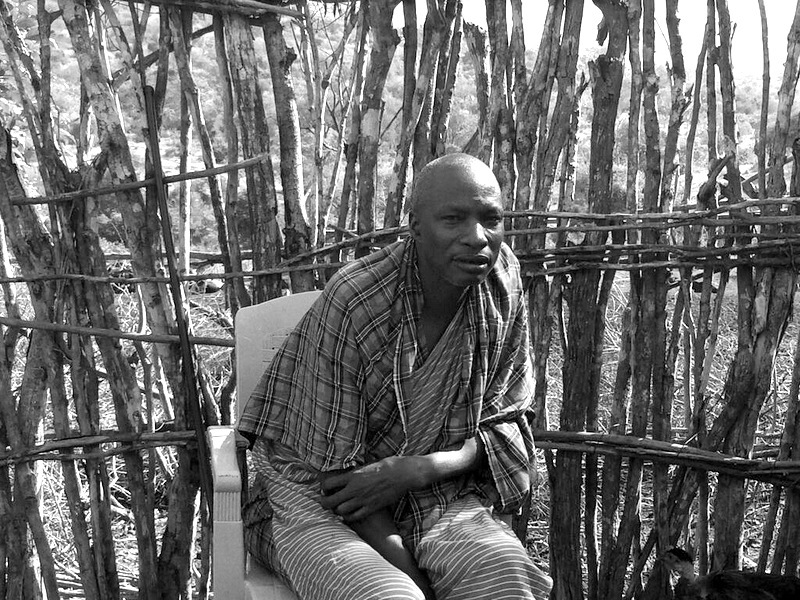 Complicating this systematic exclusion of a minority group from social and political agency, the very same Tanzanian government set up a pastoralists council to preside over democratic concerns on the part of the Maasai. The aim of this organisation was to give a voice to the Maasai such that they gained political representation and had a say in the governance and management of the land in which they live and have lived for many years now. As you might have expected, this organisation is in fact a mere mouthpiece – lip service to human rights and democracy that falsely casts the government in a positive light for anyone who does a bit of light research on the problem at hand. Moreover, the government does little to provide communities within the Ngorongoro area with access to human rights such as water, health and education. In the case of Esirwa, the distance to drinkable water is a whooping 5 kilometres- a walk down and up a steep hillside that is made, most lamentably, almost always by the women of the village. When fused, these factors in effect imply that the Maasai of the Ngorongoro crater area are a starving population, forced to eat their cattle (status symbols in their culture) and robbed of rights to education and clean water. Whatever protests that they have made against this plight have been quelled by false promises from the government and penalties for cultivating crops have resulted in prison sentences for many Maasai. Those Maasai who have left the area in search of other opportunities are often confronted by the realities of not having had an education that gives them the opportunity to acquire jobs within a broad spectrum of interests. Instead, most end up as night watchmen and other odd jobs, compounding the exclusion of the Maasai from the social narrative. Let’s add a further element of complication to this messy weave of injustice shall we ? Having conducted interviews with several Maasai of the NgoroNgoro area, I was relieved to hear that DANIDA (The Danish Ministry of Foreign Affairs) had been in this area for over a decade in which they had worked proactively and effectively to help the local community with its development needs. However, for reasons that nobody seemed able to articulate, they departed from the area and, as is the case with many an NGO, one has to ask the question “Was the area better off before they intervened or not ?” Undoubtedly their efforts were significant for the time they lasted, however, the departure of a major aid donor from an area that is otherwise paralysed due to inaction from its shady government, leaves a void that stands out as an ulcer on clean flesh. I have to date failed to established why DANIDA left Ngorongoro crater but then again, I do disagree vehemently with the quantitative modus operandi of many NGO’s and governments for that matter, much of which involves the achievement of concrete short-term goals and has little room for longer-term, non-quantifiable focus that entails a more detailed and comprehensive presence in areas afflicted by human rights deficiencies. My perplexed state was and still hasn’t been eased by the fact that it was DANIDA that sent us to this area in the first place (having sponsored us via its verdenslegat scholarship which I mentioned at the start of this article). As the sun dipped beneath the dusty horizon and the sky burned in an awe-striking allure of red and grey, we headed to bed with heavy hearts. Lars-Ulrik animatedly suggested that we stage a demonstration at the Ngongoro conservation ara entry gate, flanked by the Maasai of the area. I liked the romanticism behind it but it seemed, at least then, to be an idea that would require a tremendous amount of planning and there is no doubt that the Tanzanian government would be quick to get word of such an amassment of people and act in a manner that would deter it, using their technical and legislative superiority. On the other hand, I had no suggestions as to what else could be done. I want to help a community who have treated me with the utmost respect, a community who warmed to the fact that my Kenyan grandmother is in fact, a Maasai by birth (she was later kidnapped by the Kamba tribe with which the Maasai were at loggerheads with in the days before British imperialism had its heyday). 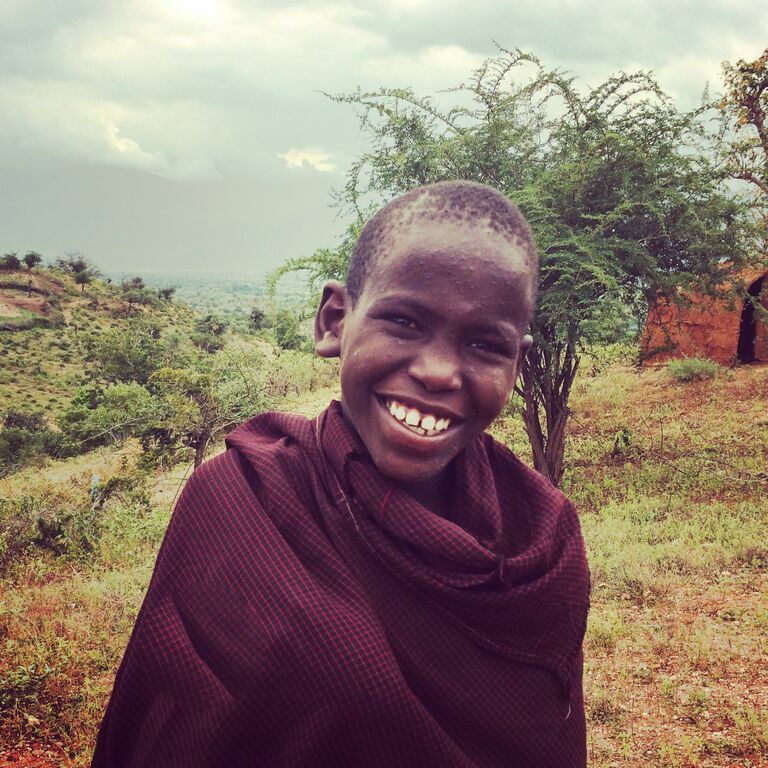 Both Lars-Ulrik and I have been embraced by the Maasai in whatever capacity we have engaged with them. Unlike the rest of Tanzania, where one has to maintain constant vigil when it comes to ones possessions, in Maasailand, we were able to leave our possessions anywhere we chose, secure in the knowledge that they would not be pilfered. Why wouldn’t we want to help this community ? Why wouldn’t we be touched to the point of tears and anger when it came to hearing of the incredulity and incompetence of the Tanzanian government ? We slept much better in the airy hut that Ndoros gave us when compared to our vulnerable snooze the previous evening in the billowing mess of a tent that littered the pristine view of the village below us. 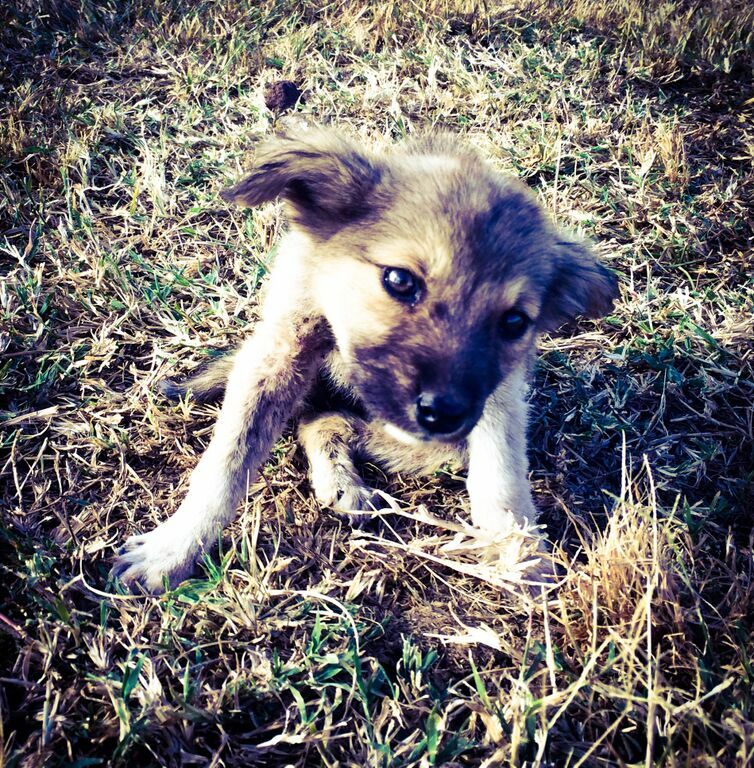 During our stay in Ngorongoro I befriended a young pup that looked certain to die of malnutrition within a week. Whilst the Maasai are adept pastoralists who share an impenetrable bond with their livestock, their skills with domestic (or semi-domestic as you will) animals are not as refined. Without passing any judgement, I often took pity on the harsh treatment handed out to some of the dogs and cats we encountered on the trip (and no, I am not an animal-rights activist, but having grown up as the only child of my age surrounded by cats and dogs, I do have a special affinity to them, particularly as concerns the latter.) I am also well aware of the plight of the Maasai of this area – they are starving, systematically excluded from agency by their pathetic government – what little food they do have surely must be shared and more often than not, there is not enough to go around, let alone to feed dogs. I plucked ticks from the pups shaggy hair and where possible, gave him scraps of fat and bone from my plate of food (in small doses initially as his state of malnutrition was such that he would easily have thrown up as his small stomach was not used to large quantities of food). He was also fond of milky tea, which I cooled for him before serving it in a disused lid. All of this was of course hidden from the gaze of our hosts. The pup grew strong as the days passed and his misty eyes lit up with the canine joie de vivre that is a gift to any dog aficionado. At night, as the seething wind ripped its cold fangs into anything it could get a hold of, he sneakily dug a passageway under the front door of the hut through which he could crawl. His evenings were spent either snuggled at the foot of the bed or outside our door, where even at a young age, he displayed attractive traits of loyalty, obedience and gratitude. Our day began with a trek down to the village water source – a trip that took hours and involved a tricky ascent on the return leg. I was shocked to bear witness to how long it took to foot it back and forth and could only imagine what it must be like to have to make this trip daily with 20 or more kilos of water in a jerrycan strapped to ones head as the women we encountered at the stream do. This water source has, in recent years, wandered further downstream due to poor rains and a falling water table. It is also a water body that is shared by the wild animals of the area, elephants included, so coming here after dusk is an absolute no-go. The sense of its remote location was accentuated by various spoor including the unmistakable pattern of a snake slither, less than a couple of hours old. The serpent to whom the tracks belonged was surely a full-grown adult, judging by the worryingly thick tracks. Of all of the solutions to the water predicaments of this area, that of building a tank at the village base and piping down to a pump at the water source seems the most logical. The construction of a well is also worth researching. However, these things take time and money – a mere surveillance of the area is in itself a costly affair. Where to start and which problems are more important than others ? 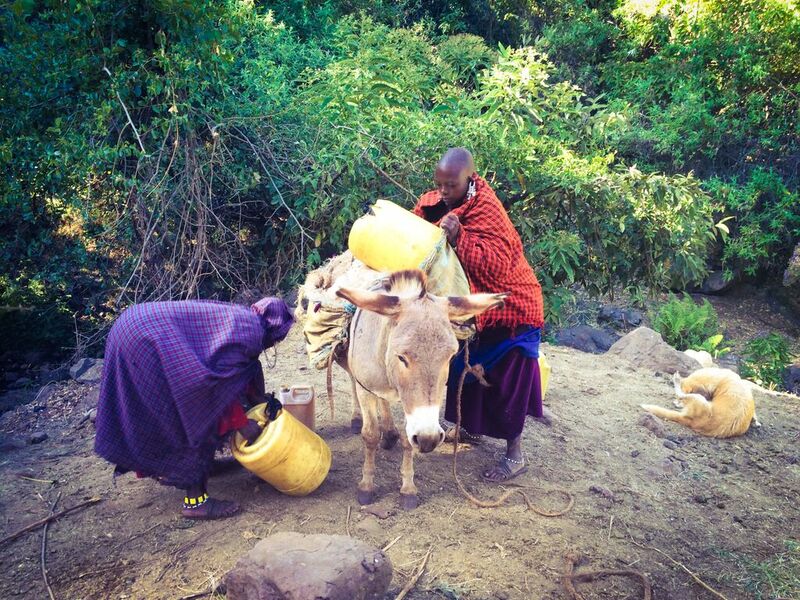 The long trip to fetch water from the spring in one of the ravines leading down to Lake Eyasi. Women such as the ones pictured here struggle with heavy loads like these on a daily basis. Tired from the morning walk, we spent the rest of the day relaxing and chatting in the village. For the first time, I began to see how the relaxed, lethargic pace of things could lead to boredom. As I spotted numerous vodka sachets strewn across the edges of the village, I became aware that for some of this village, the vice of alcohol addiction is surely also another challenge that faces this community. We drifted off to bed amidst the distant roar of a prowling lion against the voracious darkness of a night sky decorated with picture-perfect starlight. A sedate day compared to the previous ones, today involved a trip to Endulen, where the weekly market was in full swing. The Land Rover that we’d hired upon our entry into the crater the first day returned with its hustling driver, who kept on offering what seemed like genuine offers such as a trip into the crater base. I smelled a rat and declined most of them, knowing that he would most certainly add them as extras to the already exorbitant fee he slapped us with at the end of our trip. Endulen market was a mix of grilled meat spread on converted metal camp beds and an array of wares such as household items, spices, fruits and vegetables lay strewn over a square kilometre or so of brilliant red, black and blue – the colours of the attire of the Maasai. An overloaded truck packed with all manner of goods that dangled over its sides snaked into the mass of colour and looked close to tipping as it turned sharply to evade the sprawl of wares below it. The scene resembled a medieval bazaar, devoid of any sophistication whatsoever. Lars-Ulrik and I stood out like blood on white paper amongst the masses of well-dressed Maasai, many of whom had made the extra effort of wearing their finest blankets, shoes and embellishments. On the way back, we stopped by an old tree that is regarded as sacred by the Maasai and threw several flowers by its base, as tradition dictates. The rest of the day and evening seemed to drag on endlessly. We processed and sorted hours of footage from all of our recent exploits and shut eye rather early. We left Esirwa early in the morning, just as the sun was coming up and drove into the effervescent, smoky mist at the crater rim, passing herds of disinterested grazing buffalo on the way. After haggling over the price (and all manner of ludicrous additions that were not part of our original agreement), we paid our driver and parted ways with him in Karatu. I was glad to bid farewell to this town and its touristy feel and all the hustling that confronts one at every corner. We drove south to Arusha and checked into the Kibo Palace hotel where we stayed for the next two nights in pristine poolside comfort, certainly compared with the basic living that had demarcated our experience hitherto. Compliments of a deal that my mum managed to work out with Mr Lasgwai, the earnest and generous owner of this establishment, we managed to get two free nights here, during which we were able to relax and recount our experiences from the last two weeks. Whilst in Arusha, we did an interview with Alais Morindat, an exceptionally bright man of Maasai origin who has worked in development for over a quarter of a century. Alais shed light on the exact nature of the Ngorongoro predicament, adding an academic articulation to the problem that brought him close to tears. 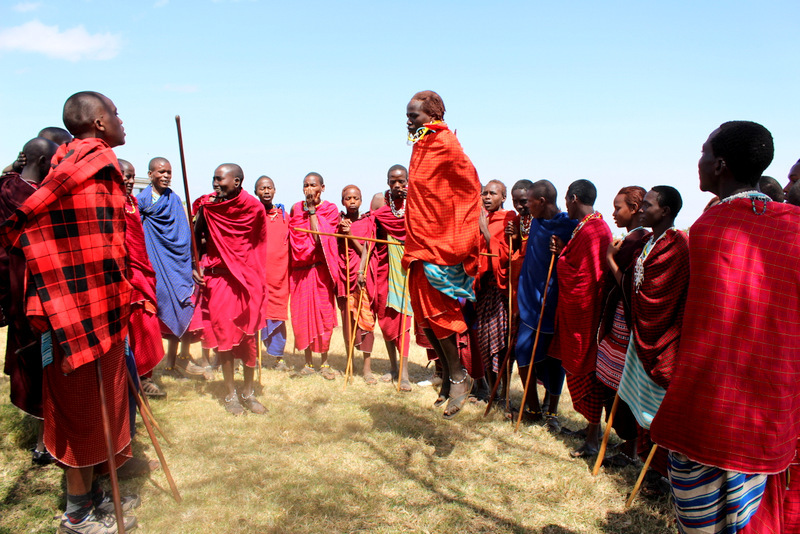 From so many perspectives, the predicament of the Maasai of NgoroNgoro is one that seems unjust and unreasonable. What’s even more worrying is the fact that many of the tourists who visit Ngorongoro crater are blissfully unaware of it – for them, the smiling Maasai and their dapper make for formidable pictures that they can show their friends back home- part and parcel of an aesthetically pleasing view but nothing else. We left Arusha early in the morning of the 19th and made the tedious 10-hour bus trip to Dar Es Salaam. The countryside rolled out like an eternal carpet before us and the trip seemed endless. The soggy unpleasantness of Dar smacked us head-on as we sat stuck in traffic queues on the city outskirts despite the fact that it was Sunday. We stayed at the safari inn again and left frightfully early the next morning. 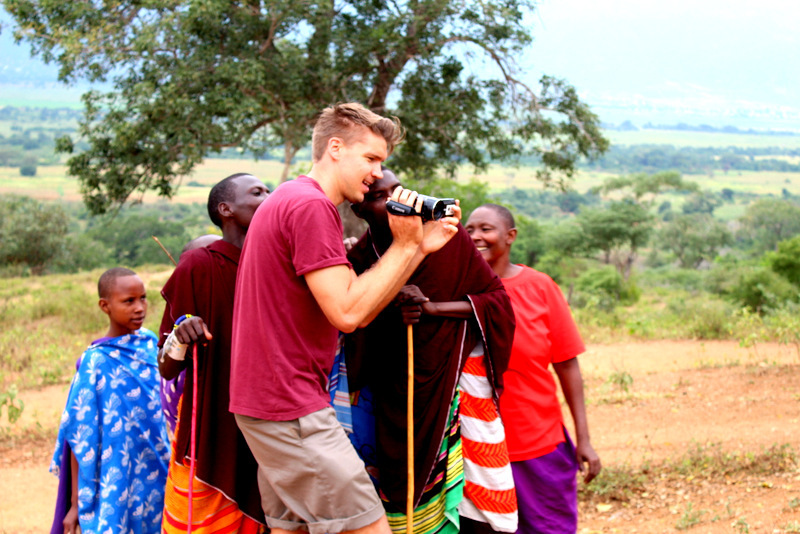 Lars-Ulrik jetted off to Denmark with all the footage and equipment from our trip and I took a short flight to Kenya, where I would spend the next couple of weeks with my family. Africa’s highest mountain, Mount Kilimanjaro, stood out brilliantly on the left of the Kenya Airways plane as I flew towards Nairobi, flanked by the steep Mount Meru, near Arusha further on. I was shocked to see just how little snow is left on Kilimanjaro’s summit-years of climate change have eaten away at what once was a generous coating of snow and glacial ice and what little is left will almost certainly disappear within the next decade. Where to next ? The challenges we encountered on our trips are numerous and complex, but nothing that cannot be solved with a bit of effort and patience. As I reached the end of my trip, I recapped on a monumental two weeks amongst some of the most generous people I have had the pleasure of meeting. The plight of the Maasai in Tanzania is a matter of concern not merely for Jengo and the work that we engage in but also on a personal level. I went to Tanzania to shoot an 8-minute documentary for DANIDA and commence the building of a school and came back with enough material and impressions to make two films, the second of which, I hope, will shed light on the NgoroNgoro conservation area and the challenges that face the Maasai in this region. The helplessness of this situation lies in the fact that a minority group is being systematically starved of its rights and devoid of significant democratic representation, they cannot articulate the problems that they face – they are bereft of the ability to scream; to draw attention to their plight. In the case of Mlembule, I would say that the problems at hand at more direct and easier to solve. Infrastructurally the area is easier to get to and there are others like Jengo who work with local communities to create social change. So where do we go from here ? I wrote this lengthy article in the hope of answering a question that many have posed, regarding my trip. “How was it ?” – Well, it was mind-blowing, moving, riveting, you name it. It was also an opportunity to illustrate how small actions can have big impacts and that you don’t need to be millionaire philanthropist to make a change. I hope that the films that will be made over the next year or so can help shed light on some of the issues I’ve mentioned here and I am also very hopeful that we can complete the school we have started building in Mlembule, with your help and support. Find out how you can donate and what your money is used for here and feel free to give us feedback regarding our work in Tanzania. We are also on the lookout for voluntary help for our NGO. Pingback: Tanzania 2015 | Mutuk5.